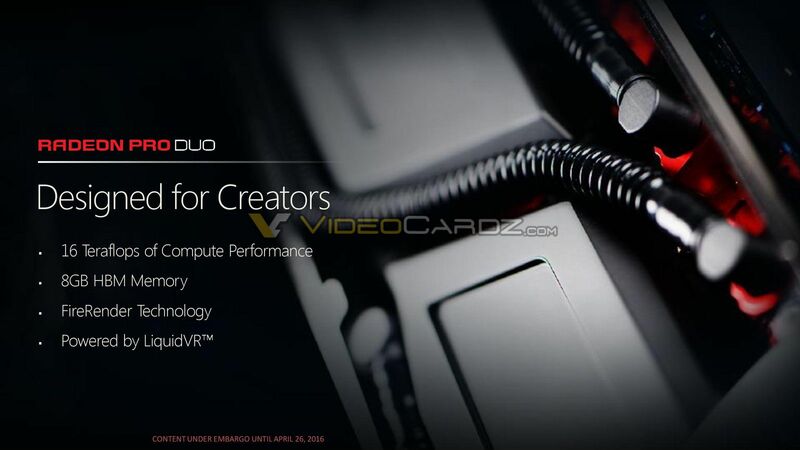 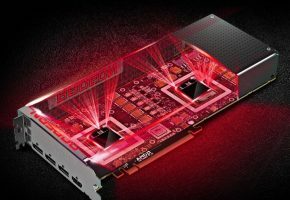 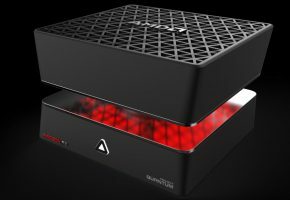 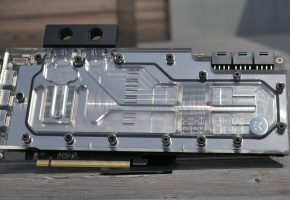 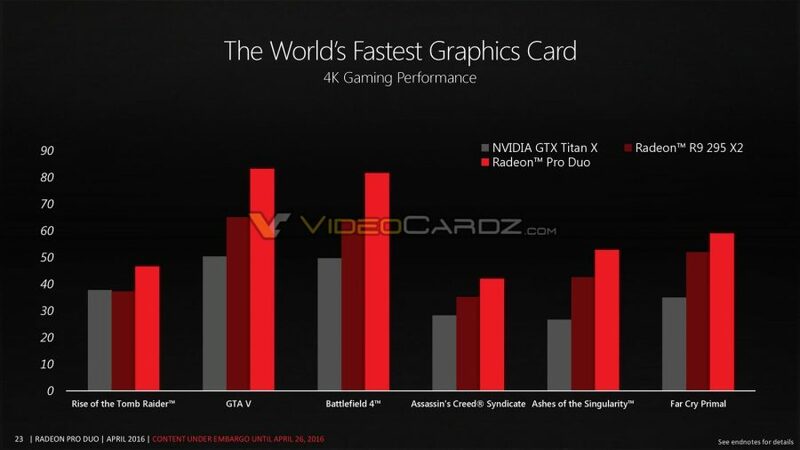 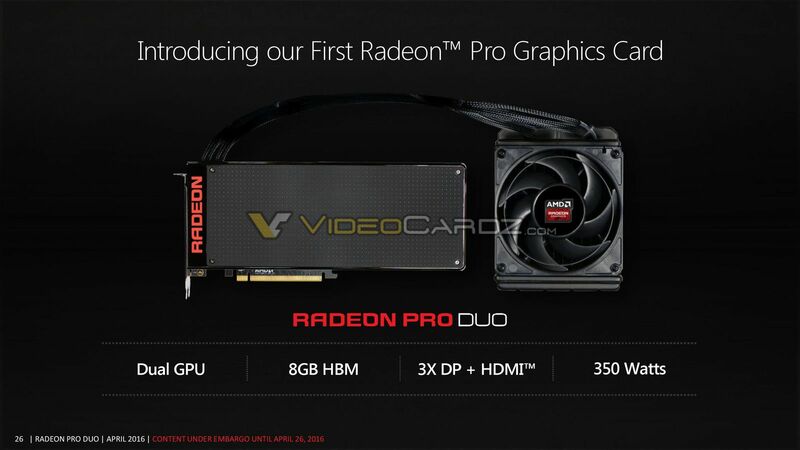 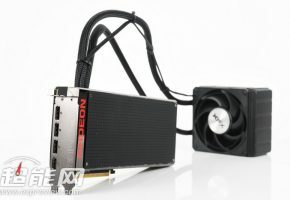 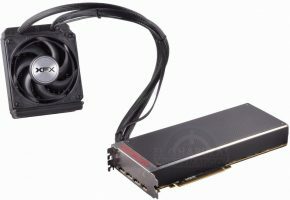 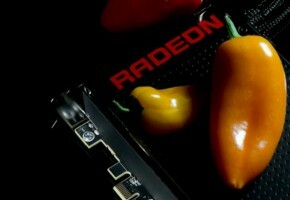 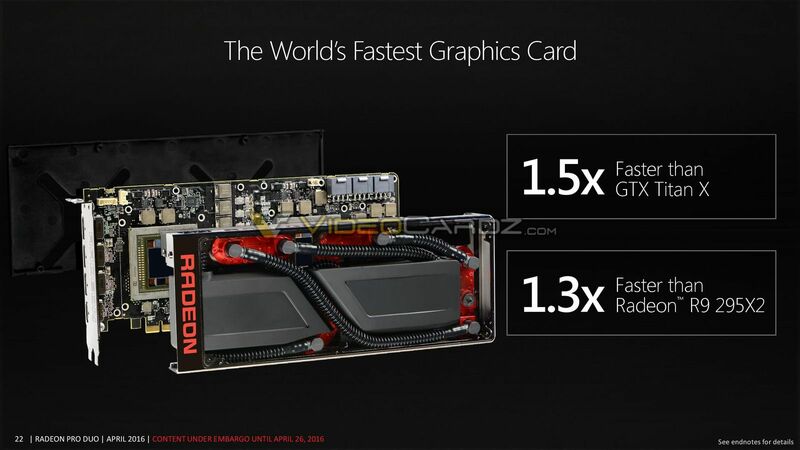 AMD Radeon Pro Duo launches on April 26th (Tuesday), but press slides are already out. 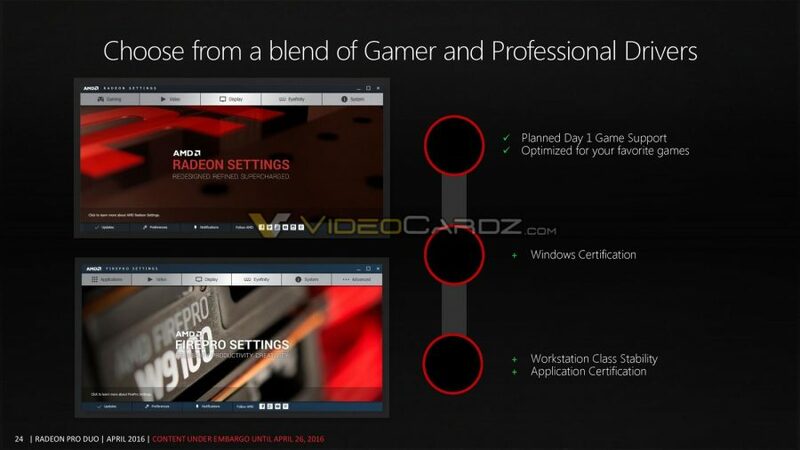 There’s nothing really new to talk about, since we already knew the specs. Disclaimer: I only chose the most interesting slides.